Do you want to be on the 1st page of Google? Contact us for Search Engine Optimisation (SEO)! 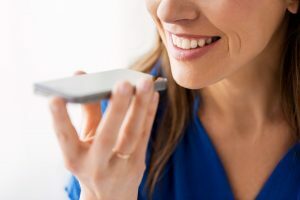 It’s official: voice search is one of the fastest growing digital marketing trends of 2019. Media analytics company ComScore predicts that 50% of all searches will be voice search queries by 2020. So what is voice search, and how can you optimise your business to take advantage of this technology? Doing your SEO work by yourself is perfectly okay, as long as you know you are on the right track. We are at the beginning of the Q2 of 2017. It’s time to review our SEO strategy in the Q1. 2016 seems to be a great year for online business. It’s undeniable that social media is one of the most effective promotion for businesses. Google+ is a feature rich platform at par with other leading social media websites. However, as it is with Google the visibility and a complete package of services makes it an interesting, under-utilised but a significant player. Google AI Experiment: Quick, Draw! Google’s latest innovation involves neural network guessing your doodle under 20 seconds. With Artificial Intellegence (AI) becoming more and more common to most business plans, Google is showing just how good they can be at this particular area. One of the result is “Quick, Draw!”, a simple and fun project to ensure everyone knows they are in the box seat. Google Has Changed The Game, Have You? Are you feeling scared this Halloween: Is the prospect of looking at your SEOreport unnerving? Google is widely known as the most advanced and complicated search engine on Earth. Google is going to launch the latest smartphone named ‘Pixel’. If you want to get a better performance on SEO, you might want to learn more about Google. 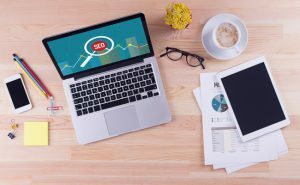 Having an up-to-date digital marketing strategy is indispensable, and while it’s important to consider every platform when crafting your content strategy, marketers would be wise to put particular focus on Google.